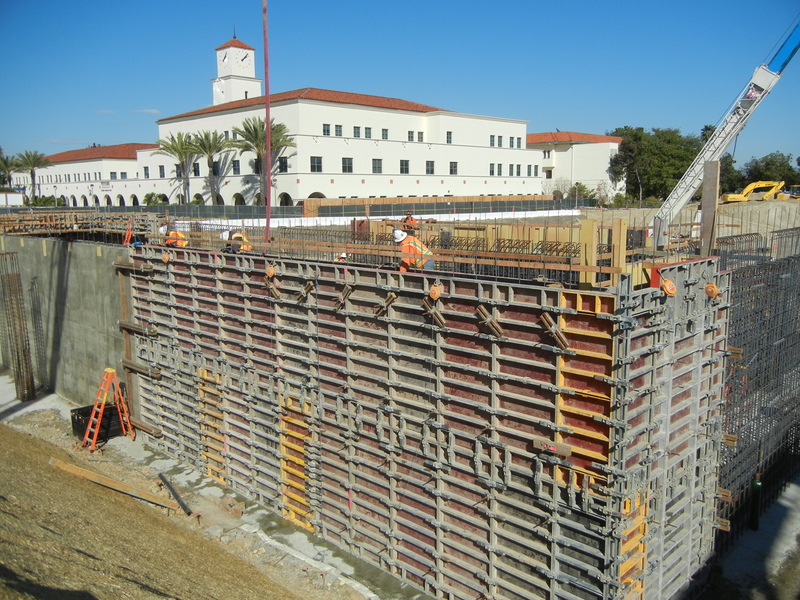 *Sundt has divided up the foundation walls into about 33 sections. Section 1 was poured last week. Section 2 and Section 5 were poured today…about 120 cubic yards of concrete went in. Section 3 is scheduled to be poured Friday. 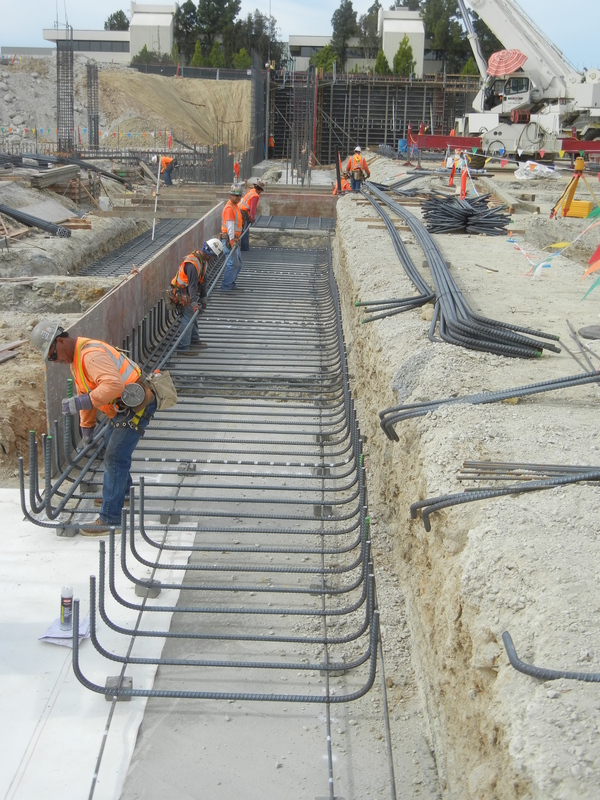 Meanwhile, rebar is being placed for the formation of other walls. This photo shows Section 1 (left), Section 5 (front and center), Section 2 (behind Sec. 5), and Section 3 (back left behind Sec. 1). *The next foundation footing pour is slated for Friday. Workers set rebar in preparation for the footing pour on Friday. 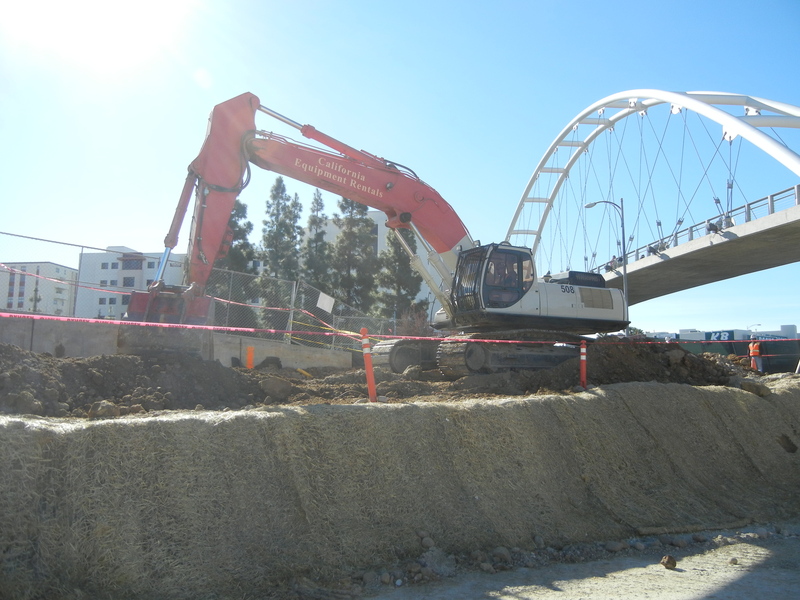 *Excavators have pretty much wrapped up digging for the foundations…for now. There is still more digging to be done, but not until Aztec Circle Drive gets squared away with its underground utilities on the far east side of the site. *The removal of all the utilities underneath Aztec Circle Drive continues. The famed Patrick Carey, who literally brought down the house during demolition, is back on site to perform this work. *The roller guides for the northwest steam pipes are scheduled to arrive next week. 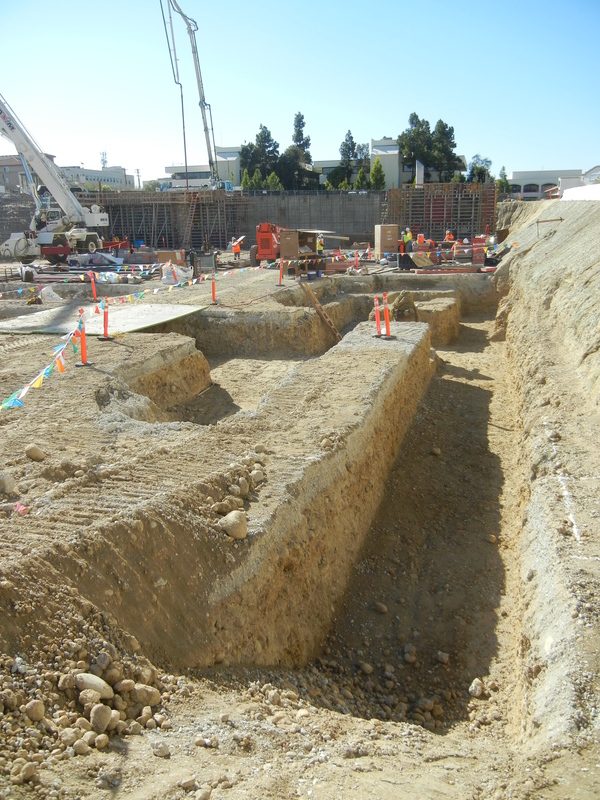 Once they arrive and are installed, the final two holes (one at each end of the northwest section) can be backfilled.